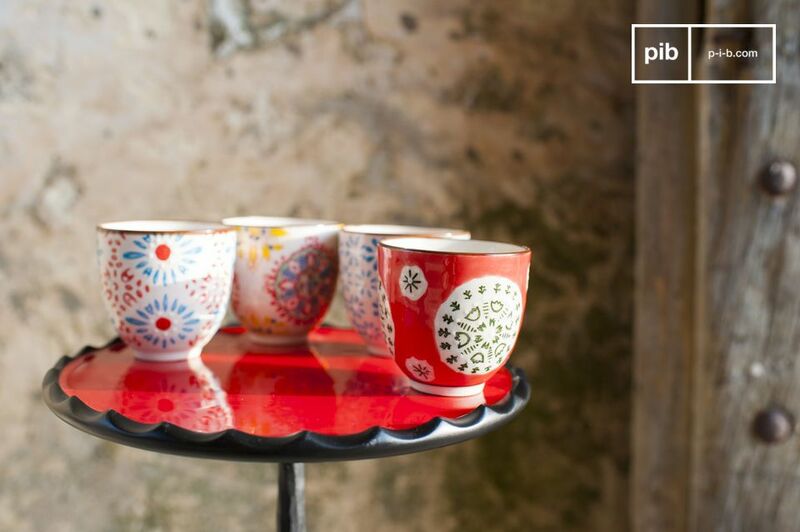 The four espresso cups Tzigane are beautiful containers to help you enjoy your coffee with your loved ones, while participating in the aesthetic harmony of your interior. 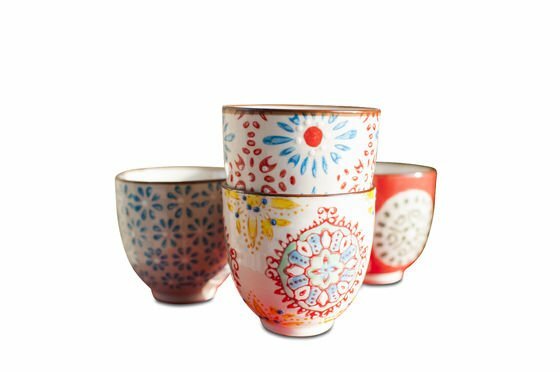 These four small ceramic cups without handles display a floral theme, entirely hand-painted with several colours. 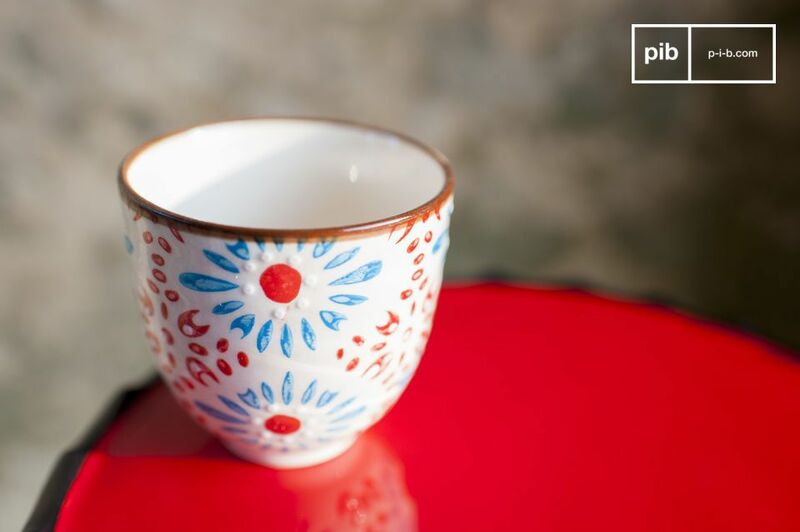 They are perfect to serve your Japanese tea in the morning or the coffee after a long Sunday lunch. 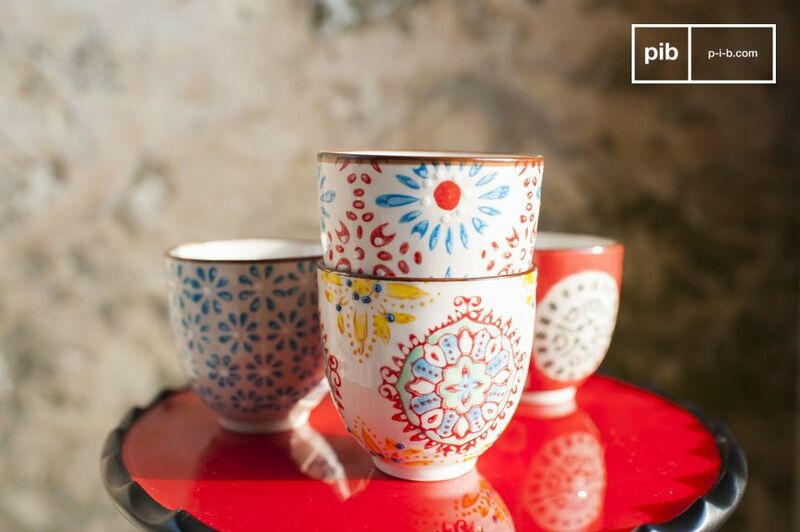 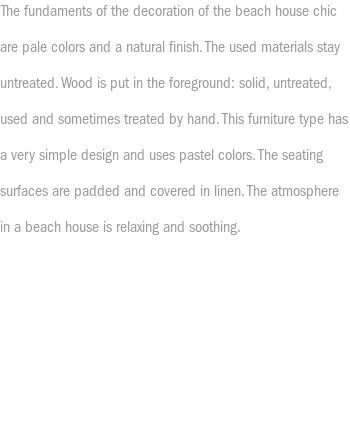 Presented in the kitchen, the cups will add an extra touch of complementary colours that will intergrate perfectly into your interior. 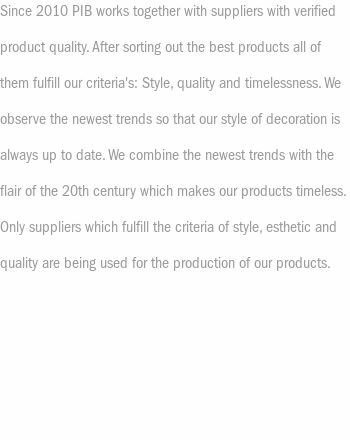 These cups correspond to what we are looking for since we already have six!